Welcome to our Abstract Garden blog hop! 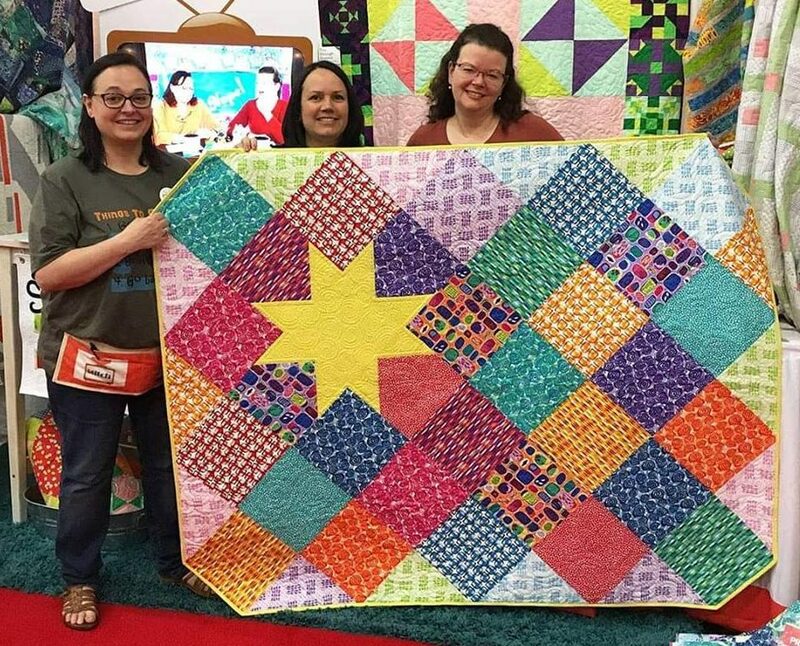 This week we'll be sharing colorful projects made from Christa's new collection. Enjoy the inspiration, and make sure to visit the featured designers' blogs each day for a chance to win a fat quarter bundle of Abstract Garden prints. Our friends at Patterns by Annie picked some of their favorite prints to stitch up three different patterns: Clam Up, Contain Yourself, and Hang In There. Each one is cuter than the next! Visit the by Annie blog to learn more and enter to win a giveaway for Abstract Garden fat quarters. "Never let it be said we didn't appreciate cheerful fabric! 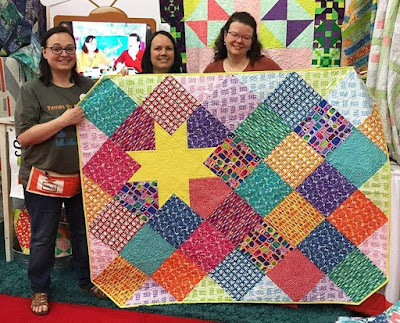 The Abstract Garden line shows value contrast that works well for all sorts of quilt patterns, and made its debut at Fall Quilt Market like The Stitch TV Show did." Visit the Stitch TV Show blog to learn more and enter to win a giveaway for Abstract Garden fat quarters. Make sure to visit all of the stops on our hop!